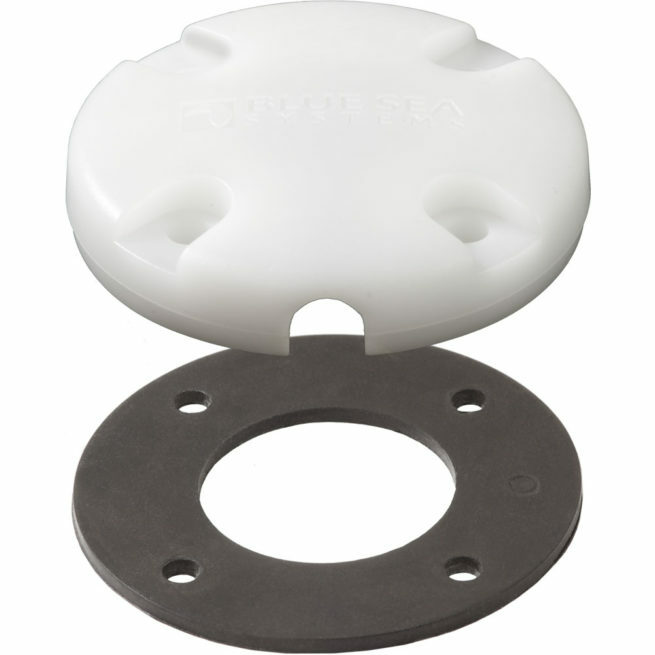 Provides a waterproof side entry for antenna cables without requiring removal of the factory installed connector. How many times have we wanted to install a new antenna or sensor and needed an entry and there was no way to do it without removing the factory installed connector. Now the problem is solved. No more do we have to remove the connector before installing the cable through the hull or deck. This Blue Sea 1007 Side Entry CableClam provides a waterproof entry while maintaining the look an feel of the original surface. The color blends into the surface and the one piece and low profile design aids in installation.